This 2015 Reverse Proof Sheep Privy Silver Canadian Maple Leaf coin contains 1 oz. 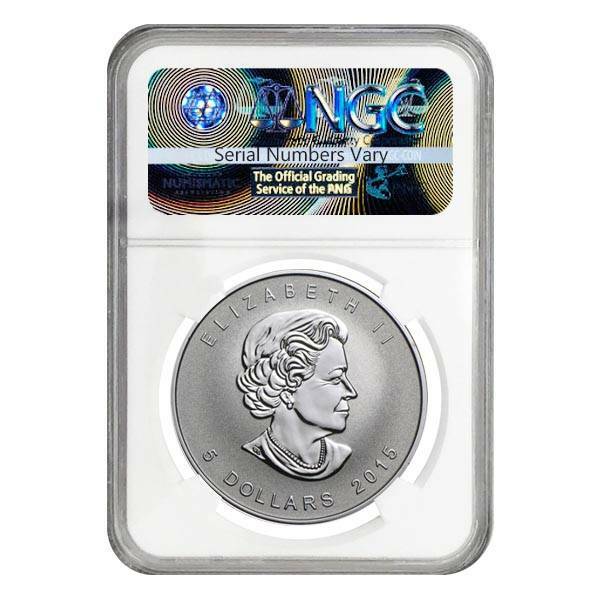 of .999 fine silver, graded a perfect 70 by NGC, the highest possible grade, and it is 38 mm in diameter and 3.29 mm in thickness. 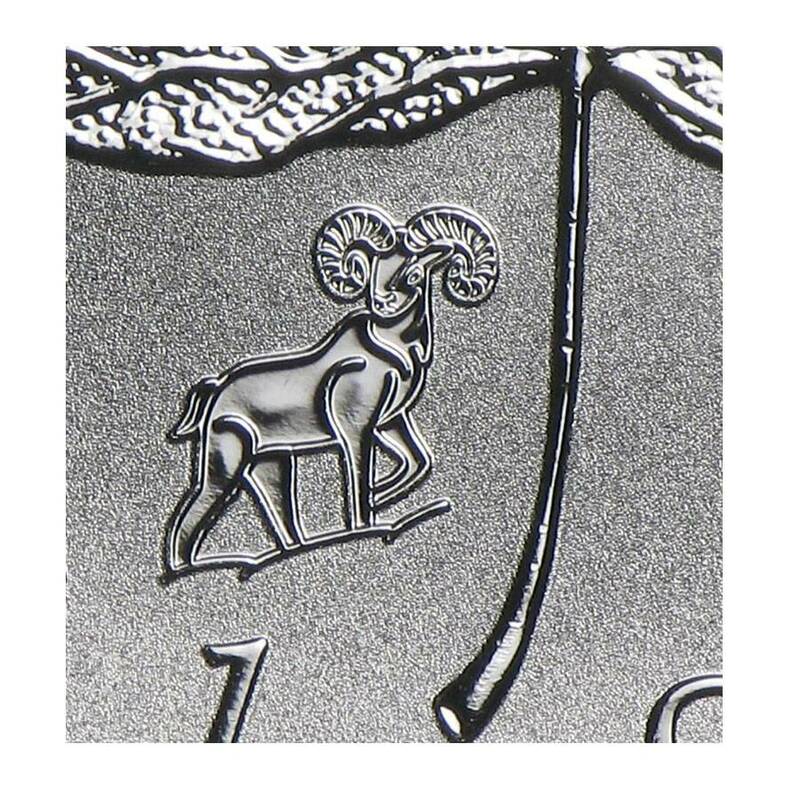 This coin has been uniquely designed to include a sheep privy mark in commemoration of the Chinese Astrological calendar with 2015 being the “Year of the Sheep”. This superbly designed coin is the fourth to be released from the mint's Zodiac Privy Mark coin series. The proof like finish of this coin compliments the distinctly etched netted veins of the Maple Leaf on the obverse side making this coin positively stunning. Encircling the maple leaf on the obverse side are the inscriptions “FINE SILVER”, 1 OZ ARGENT PUR”, and “CANADA”, with the coins 9999 fineness adorning each side of the Maple Leaf. The reverse side proudly displays the likeness of her Majesty Queen Elizabeth II accompanied by the coins denomination and mintage year. This coin is a great gift for someone born during the Chinese Year of the Goat. Like all of our other silver coins, this one is guaranteed to be 100% authentic. These Silver coins are the perfect blend of collectible beauty and investment appeal. Add this coin to your cart today! I love buying with Bullion Exchanges and this 2015 Silver Canadian Maple Leaf Coin is to die for. 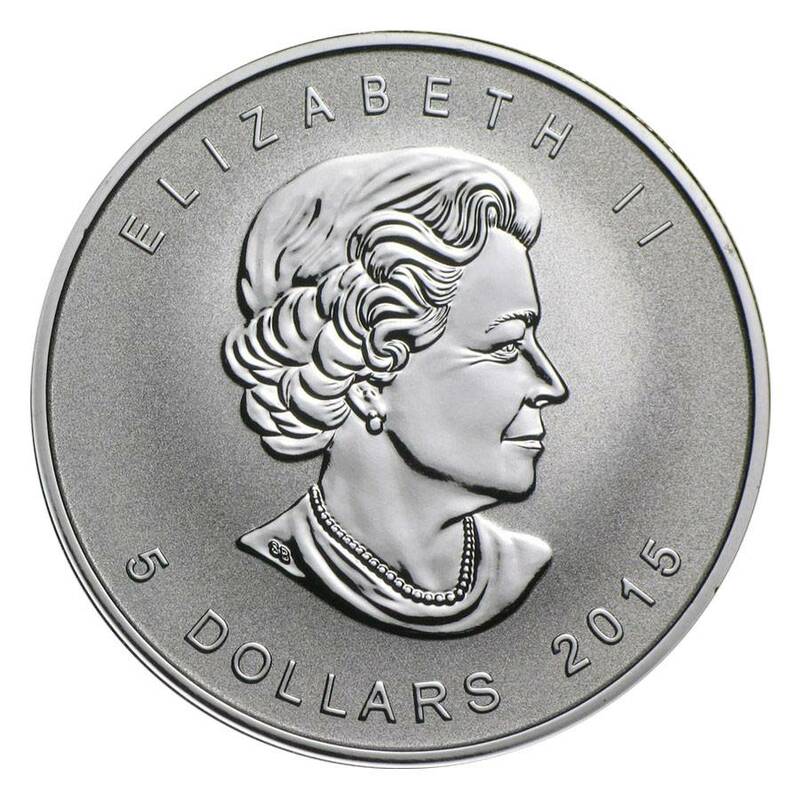 The coin comes IRA approved, graded by NGC as PF 70, and made by the Royal Canadian Mint. My order came without a scratch thanks to their great pack job!!!! "Fast service, always delivered as described. Will continue to do business with!" 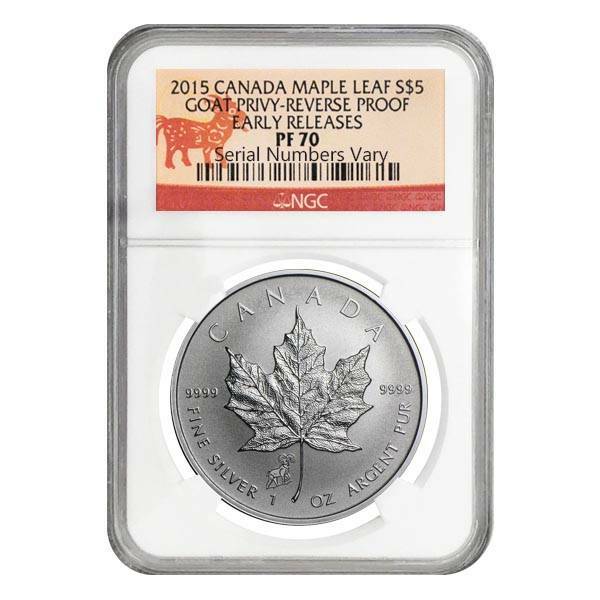 Minted by the Royal Canadian Mint I simply had to add this 2015 Silver Maple Coin to my collection. It has a great lunar sheep privy and is IRA approved. My order came with free shipping and in perfect condition! Unlike their competitors, Bullion Exchanges offers the best price with super quick shipping. With just one order they've made a regular customer out of me! 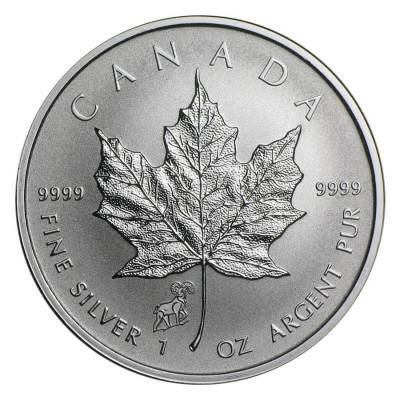 Its great to buy such an excellent Silver Maple Leaf Coin for a low price from Bullion Exchanges. I will buy more from BE soon! I would like to thank you all at Bullion Exchanges for the fast and professional service you provided on my silver maple leaf order.It arrived today in perfect condition. Loved the the lunar goat in their sealed from the mint packaging. It is always a little unnerving dealing with a new coin dealer but your company far exceeded my expectations. I will be dealing with you in the near future and will recommend you service to others. Thank you and great job! "I have purchased over 10 different items in 4 separate invoices. All were sent in good time and packaged very well.What I like best is the variety you have to choose from,and if It's not in stock they will send a notice to let you know when item is in stock. The free shipping and insurance is also a plus on items over $100:00 total cost. Thanks for the great service and will be ordering again soon." Bullion Exchanges offers the lost prices compared to their competitors like APMEX and JM Bullion! I'm happy to add their graded coins to my collection!